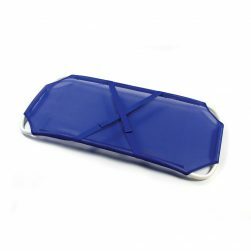 All Recessed-middle Prep-Procedure Tables include the 6″ (15,24cm) Single-depth tub and removable Prep Rack. 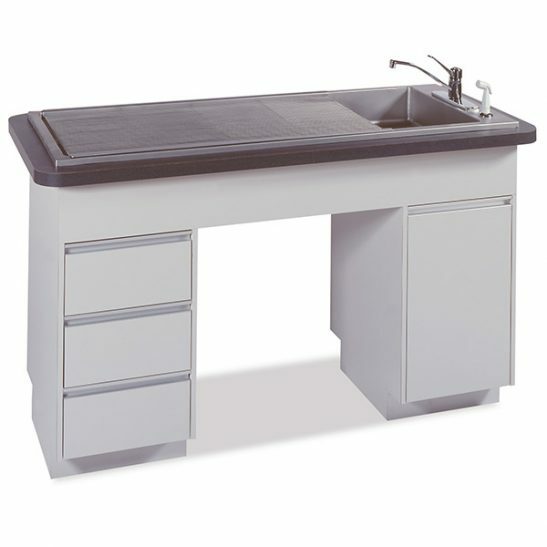 The cabinet is divided into 3 sections; two sections are storage space in a variety of drawer/cupboard combinations and a recessed knee space uses one section in the middle, allowing you to sit comfortably during procedures and still have easy access to supplies in the drawers or cupboards on either side. 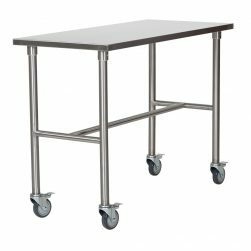 We offer these Tables with your choice of a durable, top quality, high-pressure laminated Imperial Cabinet, or an all stainless steel Regal Cabinet for unsurpassed durability. Tables are available with tub only or with a countertop and tub. Choose either stainless steel or laminated countertops. 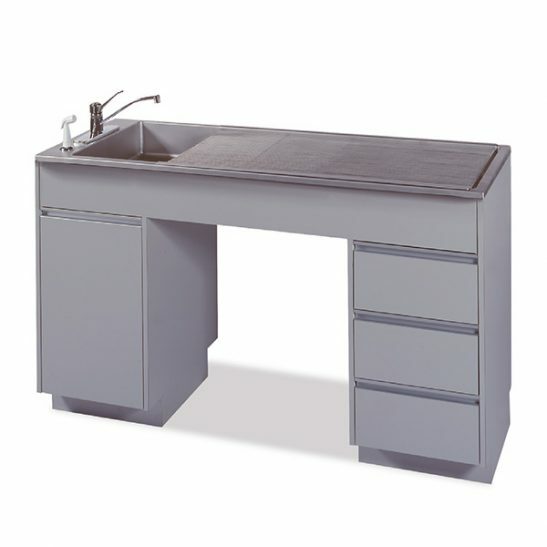 The Prep-Procedure Table are available in two widths; 48″ (121.92cm) and 60″ (152.40cm). Imperial Prep-Procedure Table body panels are constructed of 45-lb. industrial-grade substrate, panels are machined on a CNC machine for accuracy. Panels are dadoed and rabbetted for tight-fitting joints. Joints are glued with adhesive impervious to liquids and mechanically-fastened to ensure a solid, sturdy cabinet. All cabinet interiors are finished with Thermo-Fused Melamine, making them water, odor and chemical-resistant. Drawer’s steel sides feature integrated roller slides with baked-on, white epoxy finish. Drawer’s back/bottom are .625-in. thick; open/close easily with 100 lb. load. 3D micro-adjustment ensures drawer alignment. Door’s positive-action, invisible hinges have self-closing mechanism, also holds door open. 3D micro-adjustment ensures door alignment. Doors and drawer fronts have full width Aluminum Pulls. All finished, exterior surfaces including the body’s edges, drawer and cupboard door edges are laminated with high-pressure plastic laminate, available in SSCI Standard colours, or SSCI optional colours or choose from a spectrum of customer-selected colours to blend with your décor. Regal Prep-Procedure Table body panels are constructed of die-formed stainless steel, panels are formed on a CNC machine for accuracy. Panels are engineered for tight-fitting joints. Joints are welded and mechanically-fastened to ensure a solid, sturdy cabinet. All cabinet interiors are stainless steel, making them impervious to water and absorbing odors. Drawer’s front is double-wall stainless steel construction with a full-width pull incorporated into the design. Welded, one-piece drawer body is stainless steel with roller telescoping slides allow drawers to fully open/close easily with 100 lb. load. Doors are double-wall stainless steel construction with a full-width pull incorporated into the design and and features positive-action invisible hinges which have self-closing mechanism, also holds door open. 3D micro-adjustment ensures door alignment. Doors and drawer fronts have full width Stainless Steel Pulls. All stainless steel exterior/interior is durable and easy to clean, satin finish.